You heard right! – Right now is grant season. There is a joint matching grant program available for projects along Route 66. What this means is every dollar earmarked for a restoration or rehabilitation project along Route 66 may be matched equally by a NPS grant. Why does this matter to you? – Do you love Route 66? – Do you want to help save it to ensure future generations have an opportunity to see the past? 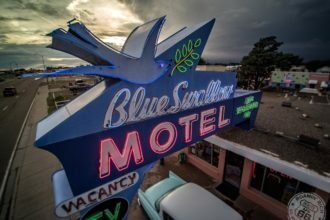 This money will go directly to projects that aim to save Route 66 landmarks. Here’s how you can help! Right now, I’m working hard on 3 worthy Route 66 projects. All of which need your help and support. The first way you can help me is to share this email. Forward it to your friends or copy this link and paste it in your favorite social groups! The second way to help is to read the article below about how your contribution can be matched by these important grants. In other words if you donate $100.00, the grant can match those funds with another $100.00. This is so important! If Route 66 has made an impact on your life, imagine what it will do for roadies, researchers, and tourists in the upcoming decades! One of the most iconic of all Route 66 locations is the long-abandoned Painted Desert Trading Post in eastern Arizona. Built in 1942 by Dotch and Alberta Windsor, it was only open until 1956 when Dotch and his subsequent wife Joy divorced. Since that time, it is stood silent sentinel to a crumbling ribbon of pavement accessible only through gated federal lands. That is, until the Route 66 Co-op purchased the building, forever guaranteeing that the Route 66 community and researchers will be able to visit this crumbling piece of history. Countless thousands of people have passed by the PDTP, as we affectionately know it. My father and his pals drove by it in 1955 en route to LA. Jerry Lewis and Dean Martin, in one of their late-50s road trips, cruised by. Elvis did too. And we can only imagine how many big bands and rock stars of the day did as well, on their way to the next gig. The PDTP is an endangered specimen, a roadside attraction that needs to be shored up. It’s going to take a lot of time, effort, and money to preserve what remains so that generations of roadies can enjoy it. And this is where you come in. By clicking the Donate button below, you can help preserve history. Little did Dotch and his spouses know back then that their little trading post in the middle of nowhere would one day be one of the most recognized symbols of the great American road trip. Whatever you can give is greatly appreciated. Please know that every last penny donated will be used for purchasing supplies and services to help make sure the PDTP continues to stand along that lonely stretch of road. We may no longer be able to buy cold drinks, rugs, and curios at the PDTP, but we can savor the memories of a fading bit of Americana. On behalf of the Route 66 Co-op, thank you in advance for your generosity. Nick and I have been searching for a way to preserve the PDTP for years now. 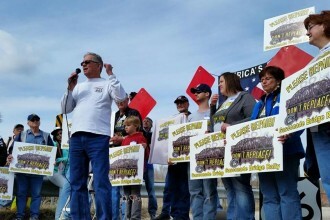 By an act of fate we were brought together along with 10 others to form the Route 66 Co-op. 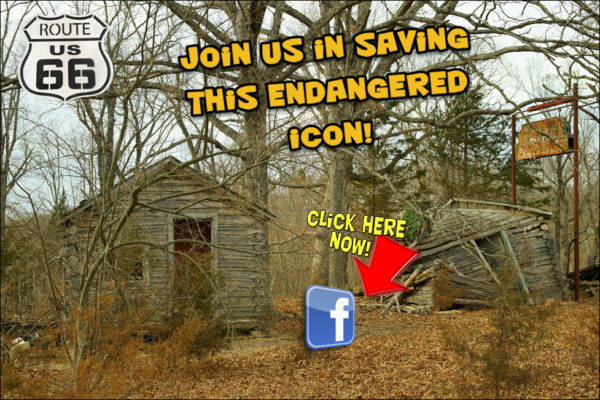 We are committed to keeping this icon alive for the world to see. Join the discussion here on FaceBook, then please donate by clicking the photo below! The second project is the well known Gasconade river bridge at Hazelgreen, MO. 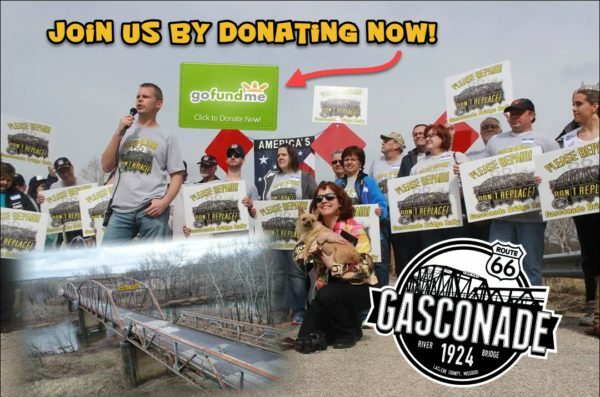 You all probably realize there’s been a joint effort comprised of myself along with the Gasconade guardians to get this bridge saved! We have a very reasonable goal of $10,000.00 to reach in order for us to acquire a professional engineering study of the bridge. This study will inform us and prospective owners how much money it will cost to have the bridge rehabilitated and what capacity the bridge may be used in its current state and or rehabilitated state. Contributions may also qualify for the same NPS grant. We should be able to reach this goal easily with your help! – Again, share this article with friends and then please share generously with any contributions you can spare. This bridge is one of a kind. We simply cannot allow it to vanish from the Ozark landscape! – Imagine what the view along the Mississippi River would be like without the Chain of Rocks bridge towering above! – That bridge was able to be saved and this one should be too! You can easily help joining the discussion on FaceBook and then by clicking the photo below! If you want to order some of the great stickers produced by Giesla Hoelscher please click here! The third project is one that has forever inspired me and shaped my heart for Route 66. John’s Modern Cabins tops out the endangered list!!! Seriously folks, there is less than one remaining cabin. You heard right. There’s only one cabin left out of the dozen or more and it is ready to topple over any day now because the west wall is missing and the roof is sagging. I met the owners of the property about 6 weeks ago. The meeting was prompted by a frantic phone call to me from a roadie. She stated the cabins were being burned. I immediately jumped in my truck and made the 2 hour trip to the cabins. There I confronted some men that happened to be cleaning up the area. They were the owners of the property. All of the cabins had fallen into such disrepair they were burning the debris to limit the possibility of someone getting injured on the property. One last cabin standing, we discussed the fate of it and the iconic neon sign. We all agreed the last cabin should be saved and I was given the blessing to proceed with whatever means necessary to preserve the last cabin. This where you hands on type can join in. 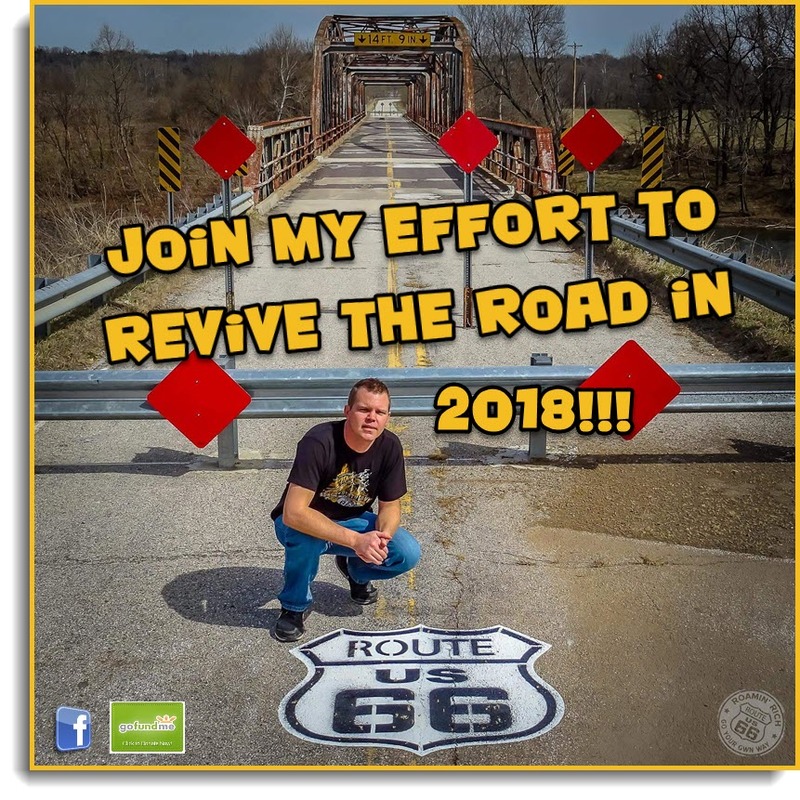 Many people have approached me about helping out directly with the physical side of preserving Route 66 landmarks. Here’s your chance. Join my group on FaceBook. We are planning a day of work to prop up and save the last structure. We will need tools, materials, lumber, carpentry skills, and endless enthusiasm for Route 66 to see this beauty saved! People wishing to donate to the cause can do so by contributing to my general fund. I will appropriate all funds to the John’s Modern Cabin project. 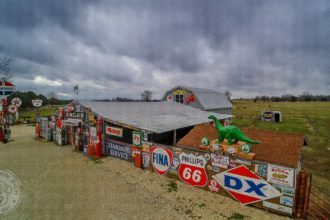 If you want to show everyone your love for John’s Modern Cabins, be sure to order one of my awesome, T-shirts, depicting the scene at this Route 66 location!